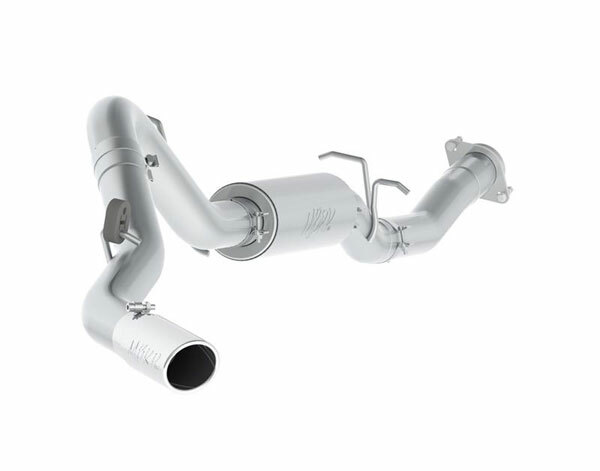 MBRP Exhaust S5078409 - MBRP Chev/GMC HD 6.0L EC/SB Cat Back, Single Side Exit, T409 Stainless Steel; 2500; 3500; 1992-2010. 2007-2010 Chevy/GMC 2500 HD 6.0L EC/CC-SB, 3 1/2" Cat Back, Single Side, T409, 4" OD Tip Included. MBRP&apos;s XP Series is the performance exhaust of choice for the enthusiast who needs a system that can take anything that the road throws at it. This system&apos;s rugged sixteen gauge T409 construction can be counted on to withstand everything from salt to rocks, tar to grime. We have had such success with this line that we back it with a Lifetime Warranty.